As a teacher, can you talk to your colleagues about “the hard stuff” without feeling as if you are burdening them? Can you talk to your principal about career growth? The International Coaching Federation defines coaching as the process of “partnering [with a coach] in a thought-provoking and creative process that inspires [you] to maximize [your] personal and professional potential” (International Coaching Federation, 2015). I define coaching as the practice of engaging in reflection, contemplation, and problem-solving which seeks to drive personal and professional momentum toward a happier and more fulfilled life. Doesn’t that sound like a breath of fresh air to just read the words “momentum” and “happier” and “more fulfilled”?! I love the famous Socrates quote, “The unexamined life is not worth living.” It speaks to the fact that when life becomes that “blur” that we are just trying to keep up with, it isn’t really worth anything. It drains us personally. It keeps us in a perpetual loop that feels “busy” but isn’t really getting us anywhere. Sort of like we have our foot pedal to metal but we aren’t in gear. Examining your life is critical if you want any forward momentum. Coaching is all about visioning where you want to go with your life, assessing where you are currently, and determining a roadmap for how to get there! Doesn’t that sound a little like a lesson plan for your life! 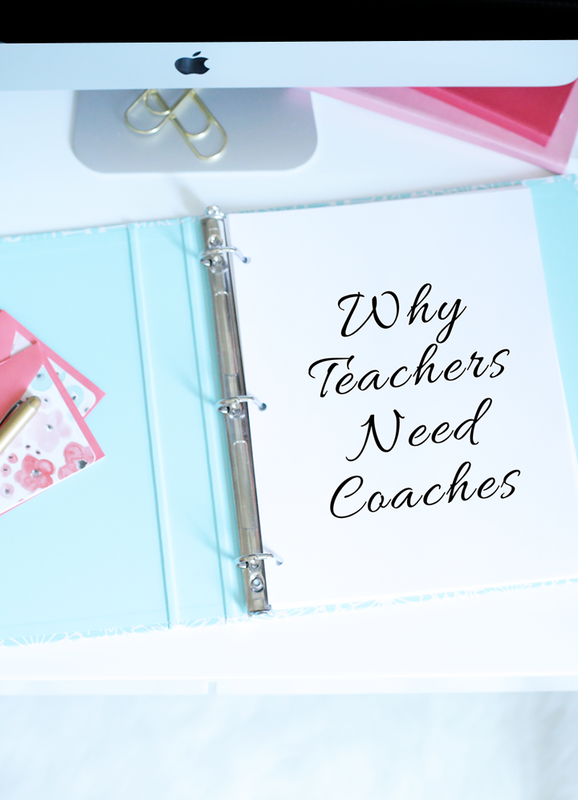 As teachers, we need personal and professional coaching because quite simply, there are too many things going on in a day to also take time for ourselves, focus inwardly on our goals, and think through the steps to get there. We need someone who “gets” us to speak our language and ask us the questions we need to answer in order to unlock our unique life path. Also, as teachers, we have to model the way we want our students to turn out. That doesn’t mean coming unglued the moment our lesson doesn’t work right or a student acts up. It doesn’t mean half-assing our work so that we can go home 15 minutes earlier. But it does mean showing up and letting our true, authentic selves be seen – warts and all. It means being confident enough in ourselves and the path our lives are on to take risks with our careers, to chase after goals we aren’t sure we can attain, and to set healthy boundaries that are worthy of respect, among other things. By taking time to work one-on-one with a coach who is in your corner, working side-by-side to help you reach your goals and see you win in life, you can awaken your vision and passion, put your life and career in gear, and start working toward the life of your dreams!